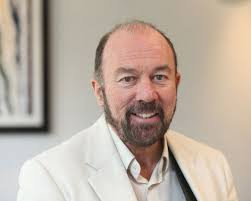 At the 2013 Scottish Business Awards Sir Brian Souter was presented with the Outstanding Contribution Award while Stagecoach Group was named winner of the Green Business of the Year Award. Former US President Bill Clinton was keynote speaker at the Edinburgh ceremony which was attended by 1600 delegates including the First Minister, Alex Salmond and Scottish Minister, Michael Moore. Sir Brian, who was awarded a knighthood in the Queen’s Birthday Honours List in June 2011 for services to transport and the voluntary sector, is one of the UK’s foremost entrepreneurs. His first job in the transport industry was as a bus conductor. He then co-founded Stagecoach with his sister, Ann Gloag, in 1980 with just two buses, and developed the company into a leading international transport group in the UK and North America with 35,000 employees and an annual turnover of nearly £2.5billion. Sir Brian became Chairman of Stagecoach Group in May when Martin Griffiths, previously Finance Director, succeeded him as Group Chief Executive. Speaking about the transport business he has helped shape for over 30 years, Sir Brian said: "I’m very fortunate to work in an industry that I care about and enjoy being part of. Transport affects the lives of millions of people every day. Over more than three decades, Stagecoach has transformed public transport through new ideas and continued investment." "This has been achieved thanks to the vital contribution of many talented people across our group and this honour largely goes to them too, and I’d like to pay tribute to my team at Stagecoach Group led by Martin Griffiths, and at Souter Investments led by Andy Macfie." Sir Brian also applauded the important work of Josh Littlejohn and the Scottish Social Business Fund, and recognised the important roles of entrepreneurs and of the positive impact they can bring to society and of the vital contribution they will make on both the Scottish the UK economies. He also noted that "while we all strive for success we accept that part of that journey will be in learning from our mistakes and failures along the way", and he concluded that "it is acceptable to try in businesses and to encounter failure, but it is not acceptable if we fail to try."